We’re a small gym with a big heart, and that passion starts with our coaches! These folks have all the insight, training and experience to get you in the best shape of your life (and make sure you have a blast in the process). Coach James has been going CrossFit for a year and a half. He grew up playing Varsity football, running track and playing golf. However, he came into CrossFit extremely out of shape, not really knowing what to expect. He stuck with it, and after the first few months, he was addicted. 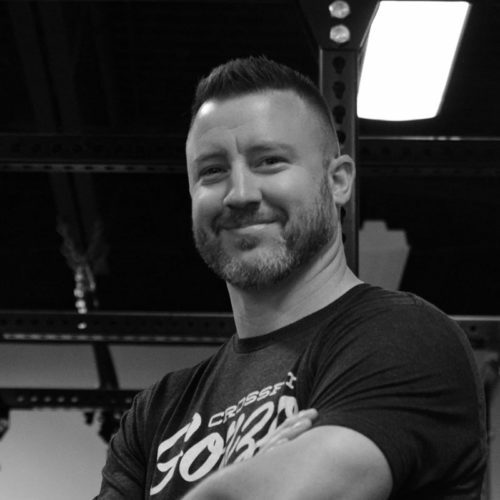 He was how CrossFit was completely changing his life, and he knew he wanted to help others change their lives through fitness. The opportunity to coach came along, and he jumped in head first! When James isn’t in the gym, he loves taking camping trips with his wife and daughter, as well as watching college football. 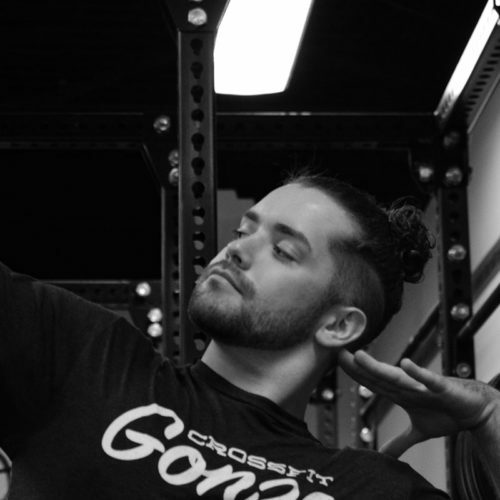 Coach Mason “Mayo” Ohendalski has been CrossFitting for just over a year, but has been training for nine years. He was a high school athlete in football (Team Captain, Acadmeic All-State Honorable Mention), wrestling, track & field. He continued to play football in college at Wheaton College. He says, “I found CrossFit when I transferred to UNT. I had done Olympic lifting and years of strength and conditioning before, but CrossFit was nothing like I’d done before, and I immediately loved it! A year passed while I built relationships with the coaches and members of the gym, becoming more involved in open gym and the weightlifting class. During that time, I was advancing my education in Kinesiology at UNT, and I completed an internship at the Adaptive Training Foundation in Carrolton. 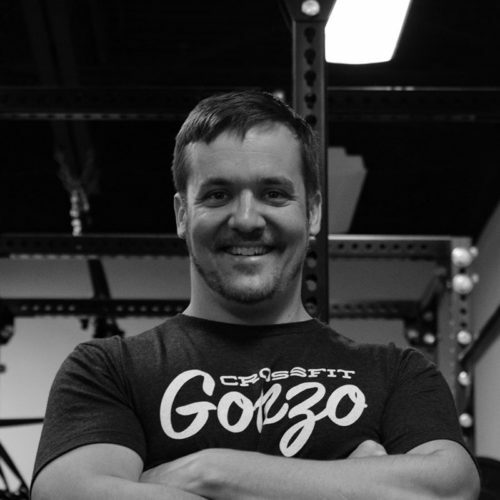 When my internship finished, Jason talked to me about an internship with CF Gonzo which eventually led to a coaching opportunity. Becoming a CF-L1 Trainer took much more work than I assumed it would, but it’s been such a wonderful growing process and I”m very excited for what the future holds!” He specializes in Agility/Explosive Power Training. 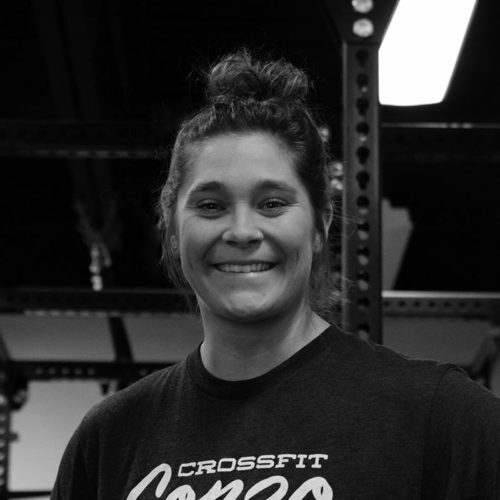 When Chloe isn’t coaching volleyball or CrossFit, she loves to be outside longboarding, going to concerts, and spending time with friends and family. At THE MVMT LAB, we’re in the business of changing lives through fitness here in Denton. So when we hear great member stories like these, we literally box jump for joy! We hope you’ll be our next success story.